Cigarettes allegedly stolen from two Meigs County businesses were located during a traffic stop in Athens County on Friday evening. POMEROY — Two men are in custody for their alleged roles in two breaking and enterings at Meigs County businesses. In a news release, Meigs County Sheriff Keith Wood reported that on June 22, two suspects were taken into custody for the two recent breaking and enterings that occurred at Reeds Country Store in Reedsville, Ohio on June 15 and the TNT Pit Stop in Middleport that occurred in the early morning hours of June 22. According to Sheriff Wood, the suspects allegedly took a large quantity of cigarettes from each of the local stores that were broken into. On the evening of Friday, June 22, the Meigs County Sheriff’s Office received a call from the Ohio State Highway Patrol dispatch in Athens County advising that they had a vehicle stopped near Buchtel for a traffic violation. The Ohio State Patrol further advised that during the stop they located two black trash bags full of different brands of cigarettes. 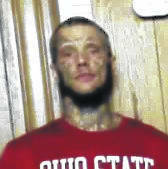 Donald J. Sheppard, 35, of Columbus, Ohio was arrested on multiple warrants out of Franklin, Hocking, and Muskingum Counties, while the other male and two females were detained and taken to the Athens County Sheriff’s Office by Athens County Sheriff’s deputies for questioning in a recent breaking and entering of another gas station in Athens County. Meigs County deputies Sgt. Frank Stewart and Deputy Tylun Campbell responded to the Athens County Sheriff’s Office and were able to match the tax stamp identification numbers on the cigarette packs seized from the suspects to those taken during the breaking and entering at the TNT Pit Stop in Middleport. The deputies then conducted an interrogation on the suspects where one of the males reportedly confessed his involvement in the breaking and entering at Reeds Country Store as well as the TNT Pit Stop. Sheriff Wood stated that Larry J. Loring, 32, of Columbus, Ohio and Donald J. Sheppard were taken into custody by Meigs County deputies and were incarcerated on two counts of breaking and entering as well as two counts of theft each. 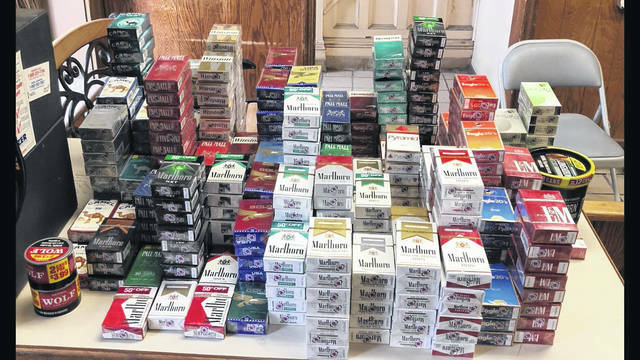 https://www.mydailysentinel.com/wp-content/uploads/sites/14/2018/06/web1_6.26-BandE-1_ne201862319758556.jpgCigarettes allegedly stolen from two Meigs County businesses were located during a traffic stop in Athens County on Friday evening.